The Program Integrity Unit maintains the integrity of the public assistance programs by deterring fraud through education, early detection and prosecution. The Cabarrus County Department of Human Services is committed to identifying and eliminating fraud. The crime of welfare fraud is committed when people receive or attempt to receive public assistance benefits by providing the Department of Human Services with false and inaccurate information, or by withholding information. You are encouraged to report matters involving fraud and abuse. You may remain anonymous; however, sometimes to conduct an effective investigation, staff may need to contact you. Your name will not be shared with anyone investigated. In rare cases involving legal proceedings, your name may need to be revealed. To process your allegations, we will need you to provide as much information as possible regarding your complaint. Without sufficient information we may be unable to act on your allegation. Therefore, in order to investigate your concerns properly, please provide as much information as possible. 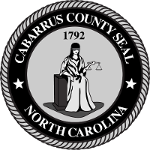 To report suspected welfare fraud in Cabarrus County, you may call the Department of Human Services at 704-920-1400 or complete form below. Note: Due to confidentiality laws, we are not able to inform or respond to you as to the outcome or specifics of a case.